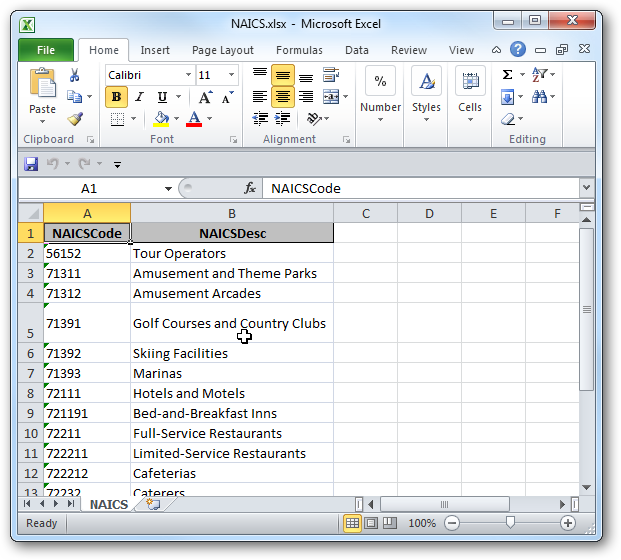 Being able to share Access data with other applications is easier in Office 2010. 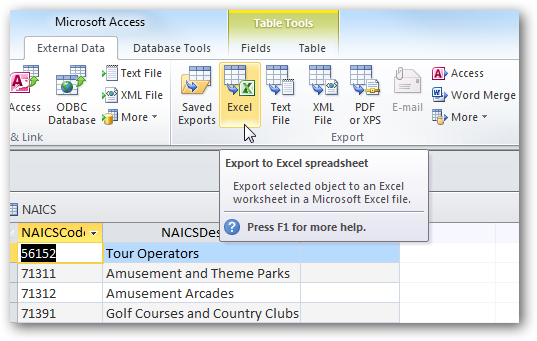 Today we take a look at how easy it is to share data from an Access 2010 Database to to an Excel spreadsheet and more. First we’ll take a look at sharing an Access table to an Excel spreadsheet. 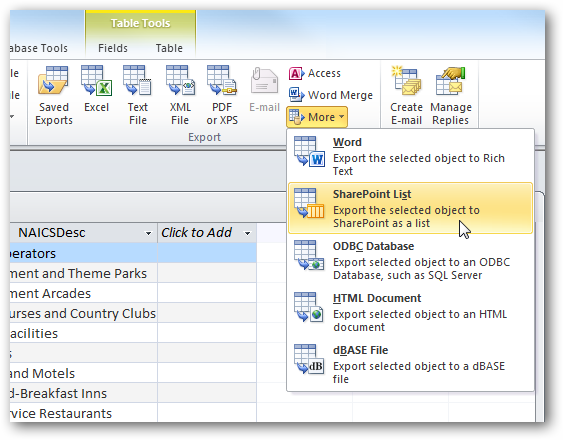 Open the Access table you want to export and click on the External Data tab. From here you can see a bunch of different options you have for exporting the data. 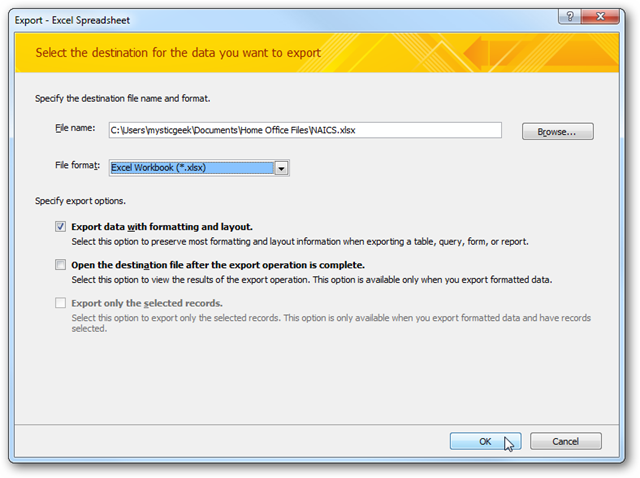 In this example we’re using exporting to Excel so click on that. A window comes up asking where to save the file, the file format, and some other exporting options. In the next screen you might want to save the Export Steps to make it easier the next time or if you’re working with several documents and need to do the same thing. 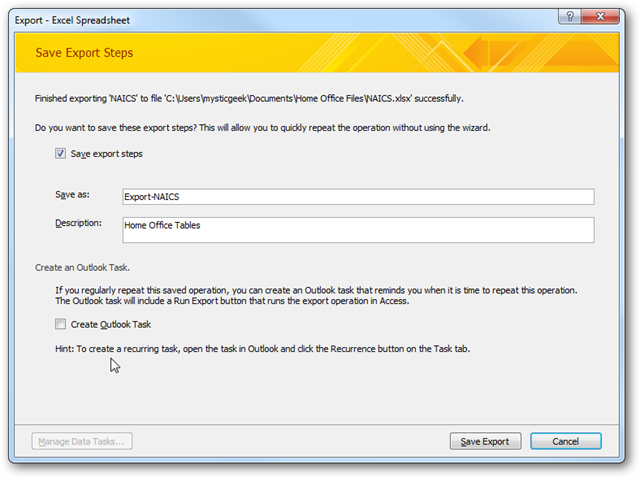 From here you can also set up an Outlook task if you regularly need to repeat it. The data goes into Excel and you can start working on it here, or send it where it needs to go. There are a lot of other applications Access 2010 will let you export data, like text files, Word, a SharePoint List and more. There is an easy Word Merge feature so if you have a database of addresses you can easily incorporate it with Mail Merge. Sometimes getting the data you need out of an Access Database can be a bit daunting. It looks like these tasks will be a lot easier in Office 2010, which will be great for increasing productivity.